Most Singaporeans first heard about Khoo Swee Chiow when he brought the Singapore flag to the summit of Mt Everest in Singapore’s first Everest expedition 1998. From then on, Khoo didn’t look back. He accomplished many firsts for Singapore and even as the novelty wore out and adventure news stopped capturing the headlines, Khoo’s regular appearance on the media had already turned him into a household name. He currently works as a motivational speaker and expedition consultant. His long list of achievements can be found here. I have reviewed two of Khoo’s books. K2 is the third one that I’m reviewing. The photos above show Khoo Swee Chiow posing on the summit of K2 8611m, second highest mountain in the world. 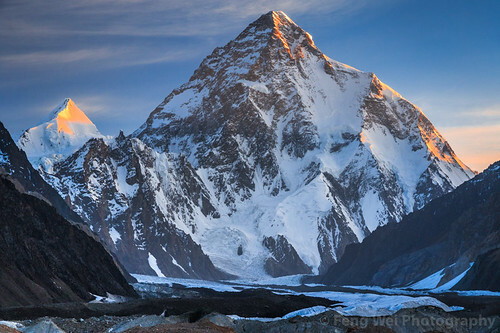 Although it is the second highest mountain in the world, K2 is technically much more difficult than its higher Himalayan counterpart, Everest (Tibetan: Chomulungma, Nepali: Sagarmatha). Located in a different climatic zone, K2’s weather patterns are more unpredictable, with only a narrow window of opportunity of several days every season. The death rate on K2 is 1 in 4 according to Wikipedia, but this number must be put in perspective because while accidents are not that common, they tend to be catastrophic. Consequently, there are, to date, only about 300 successful summits on K2 as compared to Everest’s nearly 5,000. Make no mistake, climbing K2 is a much greater challenge than climbing Everest. 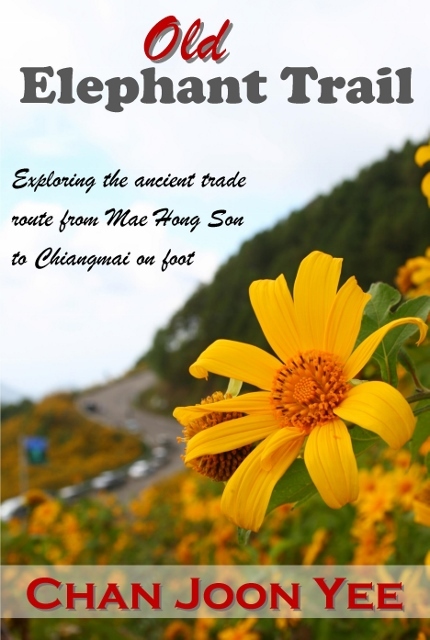 Khoo Swee Chiow dedicated the book to two Chinese climbers, the late Yang Chunfeng (1968-2013) and Rao Jianfeng (1965-2013). They were also his team mates on this K2 expedition. Kayaking around the Philippines was a book in itself. 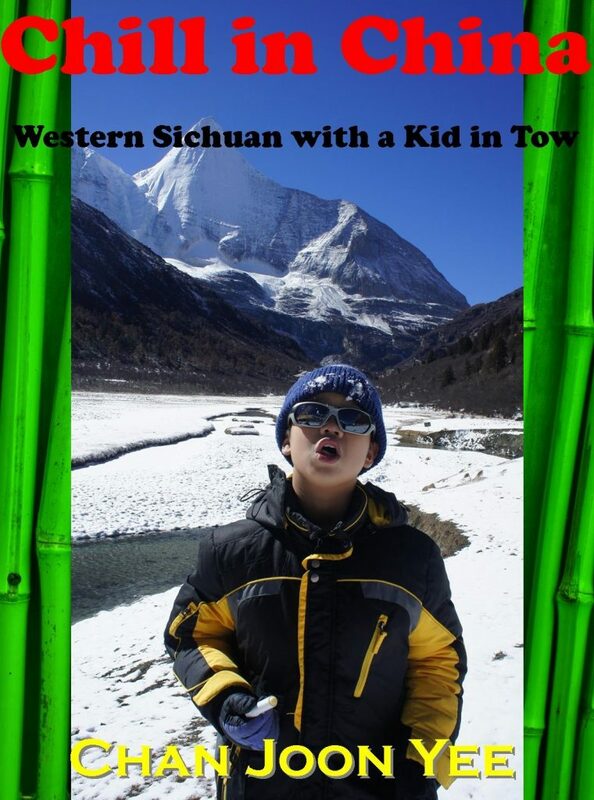 In K2, Khoo Swee Chiow decided to include a few other less major expeditions. This 8-peak project kicked off with Mt Everest from Tibet. Being technically more difficult, this route is a lot less popular than the Nepal route. Khoo tackled the north face of Everest with a Thai climber. 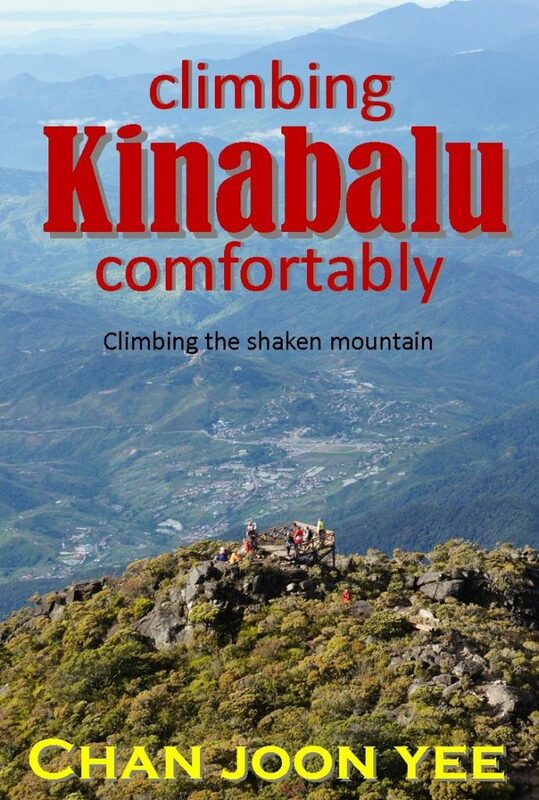 Interestingly, Khoo mentioned British climbers George Mallory and Andrew Irvine and quite disingenuously wrote that he was on Everest for the same reason “because it is there”. Khoo and the rest started using bottled oxygen from Camp 1 (6,100m) onwards. They departed from Camp 3 early in the night for the summit bid and 3 hours into the climb, around midnight, Khoo began to lose his vision! 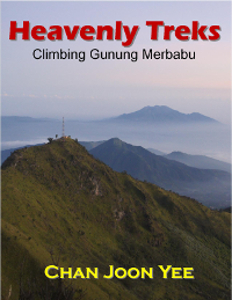 In spite of that, he continued his climb, reaching the summit at 6.00am half blind. Khoo admits that he was stricken by “summit fever”. Miraculously, his vision returned on the descent. Most of the other peaks were climbed without much drama except for Mt Cook 3724m in New Zealand where a blizzard drove Khoo and his climbing partner Peter Hillary back. Hillary abandoned the summit attempt but Khoo managed to find a guide, waited for a second window and made it in 10 days. Khoo felt good about his success on Mt Cook, then went on to tackle Ama Dablam 6812m with Jamling Sherpa. He gave up at Camp 3, just 400m shy of the summit. I don’t quite understand his explanation and it would be interesting to hear Jamling’s side of the story. After securing his key sponsor and a brief struggle with the Pakistani Embassy, Khoo was off to Pakistan in June 2012. It seemed to be a commercial expedition with an international team of climbers employing only local Pakistani kitchen staff and porters up to base camp. The climbing guides were all Sherpas, and some of the strongest and most experienced too. There were 7 “foreign” climbers and 6km of rope in total. Khoo had two personal guides, Jamling Sherpa (7x Everest) and Dorjee Sherpa (4x Everest). One Chinese climber on his team Jeff Rao, even had 3 personal Sherpa guides. 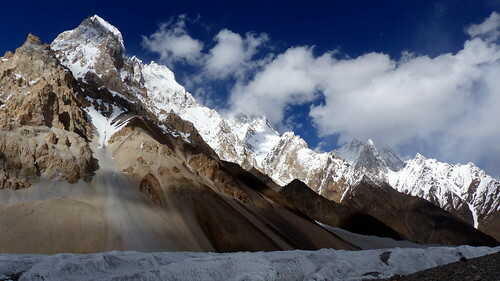 After about 10 days of trekking, the team reached K2 base camp where Khoo sited his tent with the opening facing K2 so he could start the day by greeting the mountain every morning. The team took it easy at base camp to acclimatise properly, but their only AMS casualty seemed to be their Pakistani liaison officer who planned to return to Skardu after experiencing nausea and loss of appetite. After the Sherpas conducted a Buddhist puja, they were ready to go. Like the Khumbu Icefall on Everest, there is also a dangerous icefall on K2. The first few days saw beautiful weather. Basically a jagged, pyramidal peak, campsites on K2 are considerably narrower that those on Everest. The first serious challenge came in the form of House’s Chimney. A shoulder width crack in steep rock some 100 feet in length, leading to a gentle snowfield to Camp 2. The weather started to take a turn for the worse as they descended to base camp to recover as Sherpas fixed the rope to Camp 3 and deposited loads there. Bad weather forced to team to wait for almost two weeks. When the window finally opened, they headed up again, past Camp 2 to face the next serious challenge – the Black Pyramid, a near vertical, erratic and exposed wall of black rock with patches of snow and ice. Requiring skillful balance on the ascending and traversing paths, this path is extremely difficult and dangerous. After negotiating the Black Pyramid, Khoo decided to turn on his oxygen supply. The weather was still good when they arrived at Camp 4. They then headed off for the summit at close to midnight. Out of Camp 4, is the Shoulder which is perhaps the easiest part of the climb with a gentle, snowy slope. It ends at the Bottleneck, another very steep wall with numerous rocky and erratic outcrops that make climbing a nightmare. After the Bottleneck comes the Traverse where climbers have to go across a steep, exposed wall. Just next to this path, on the right during the ascent, are towers of ice seracs that can dislodge and fall on climbers any moment. There was a 3-hour delay at this point and when they finally started moving again, they reached the end of the rope. The Sherpas had stashed oxygen cylinders there. After changing oxygen cylinders, Khoo went on and reached the summit at 10.20am, making himself the first Singaporean to have climbed K2 successfully. 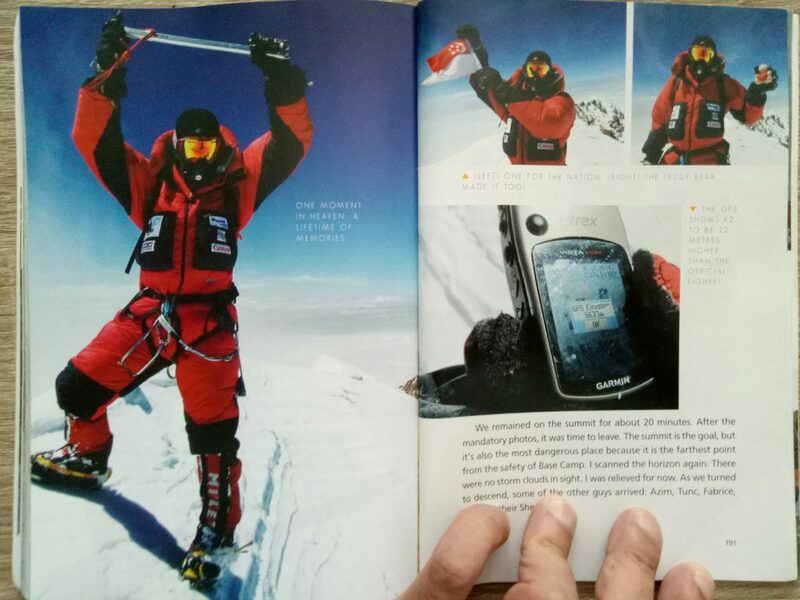 In a 2008 expedition, Robert Goh and Edwin Siew failed to reach the summit. Khoo and his guides rushed down to base camp the next day and soon, the mountain closed its doors, dumping heavy snow on base camp the very next day. I’m not sure how much editing or rewriting went into K2, but having read Khoo’s previous work, I find his writing style for K2 has gotten a bit more sophisticated and less “conversational”. He reads more like a professional adventurer and less like the guy next door. 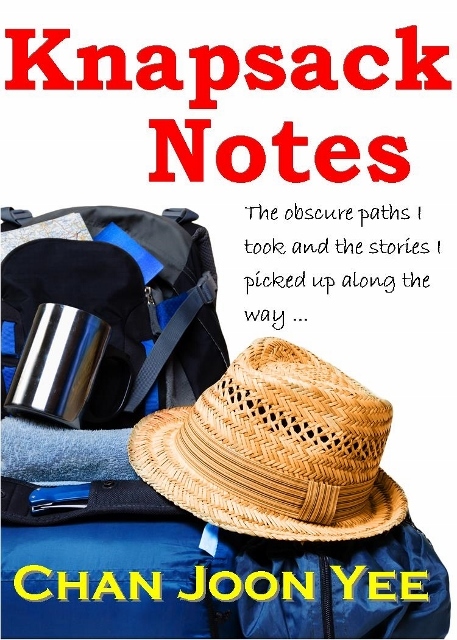 Interestingly, towards the end of this book, he takes a swipe at some of his critics within the fraternity who see him as a mere poster boy for sponsors’ products and not a serious climber or adventurer. These “pure” alpinists eschew guided expeditions, believing that it only counts when people climb without oxygen and Sherpa support. 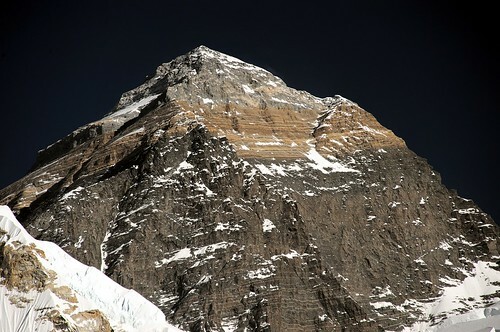 Khoo claims that many of these so-called independent climbers turn up late in the season and use ropes left by the Sherpas. I myself am aware that some of these freeloaders even end up crashing into other climbers’ tents and even stealing their food. Having said that, there are climbers who are in a class of their own, having abilities way beyond those who need Sherpa support – like the 6km of rope that Khoo’s expedition brought, in addition to an abundant supply of oxygen, enough even for use at 7,000m. Without a doubt, these things greatly lowers the bar for climbing the savage mountain. Khoo’s approach is that of a pragmatist and not an idealist. He seems to have a finger on the pulse of the sponsors/public and he is able to speak their language. When it comes to execution, he chooses the simplest, safest and surest way. Perhaps that’s why he has consistently been successful not just in getting sponsors but also achieving his goals.